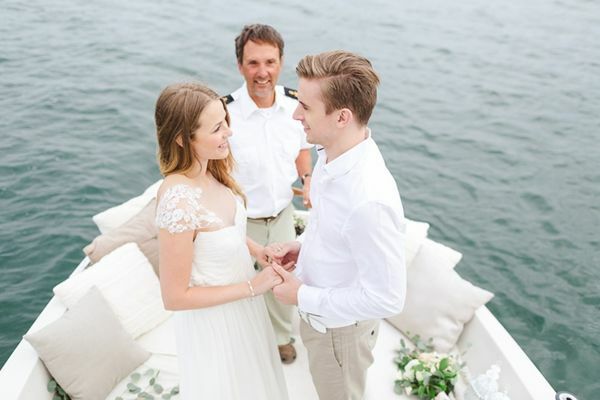 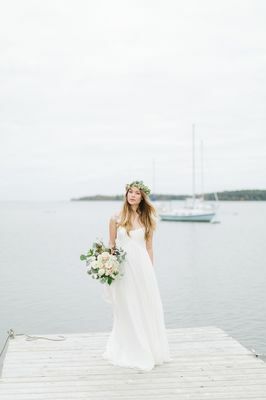 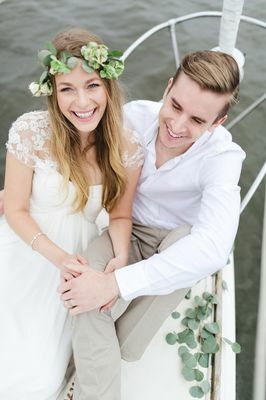 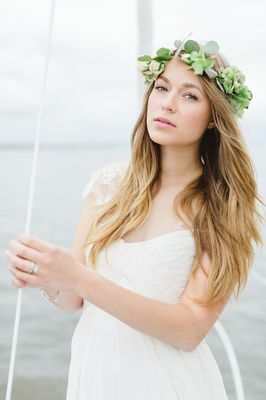 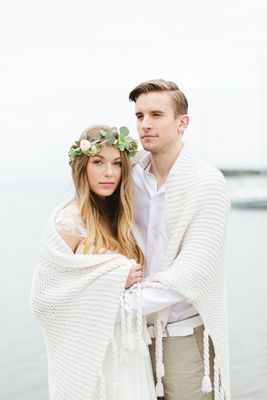 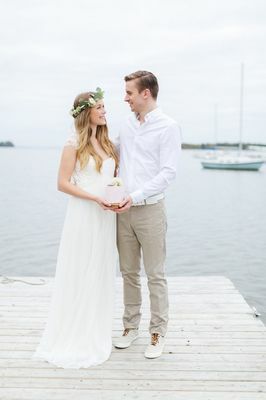 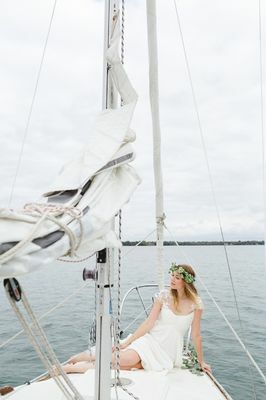 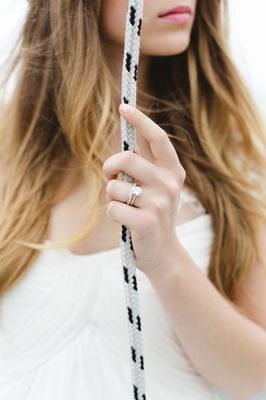 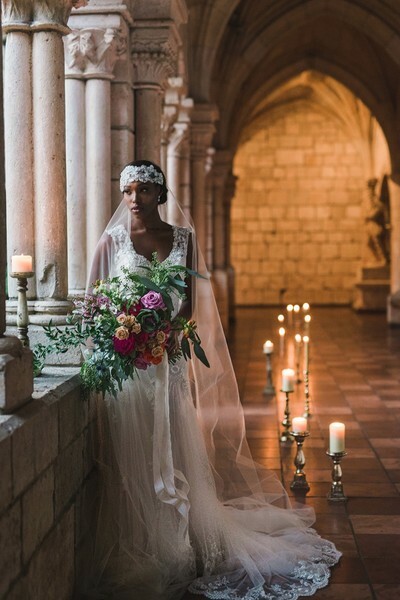 This stunning sailboat elopement styled by Lisa Renault & Joy Deneen is totally dreamy in every way. 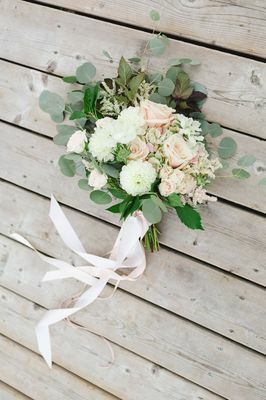 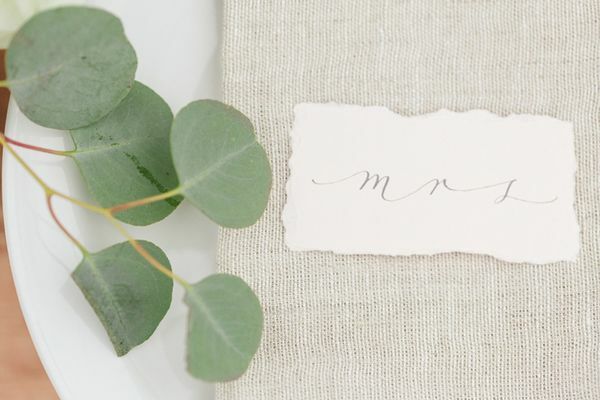 The minimal color palette of blush, beige and white creates a simplistic yet ultra chic look. 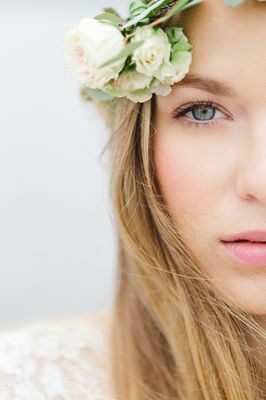 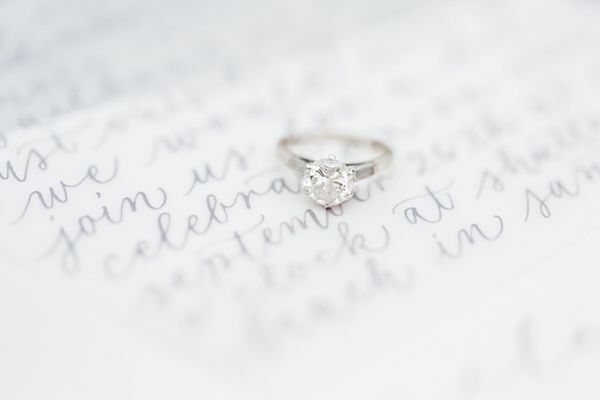 Lisa Renault Photographie captured every last detail beautifully. 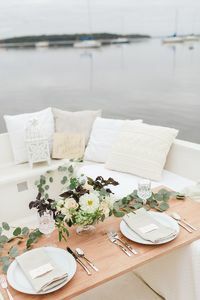 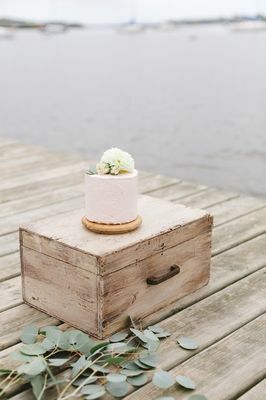 Accessories were provided by La Mariée Bohème, and we used a wood plank to create a small table aboard the sailboat. 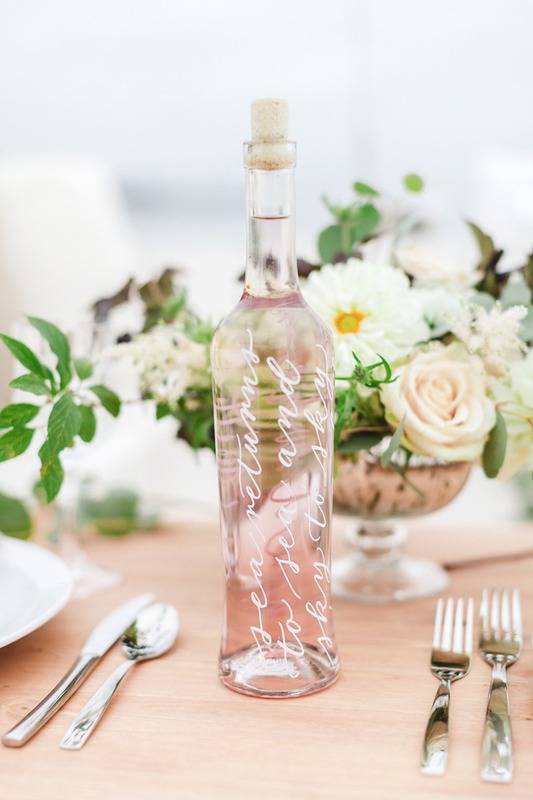 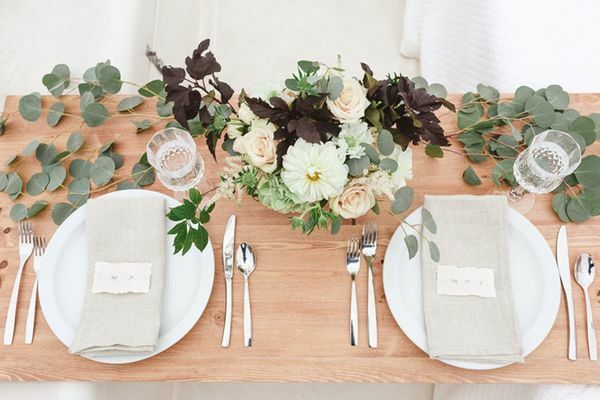 We chose simple place settings and a hand lettered wine bottle by Imagine Joy calligraphy. The bottle was inscribed with the words of Patti Smith: “Sea returns to sea, And sky to sky, In a life of dream am I, When I'm with you.” Joy also created the paper suite, which included an elopement announcement and photo plus an invitation to a celebratory brunch. 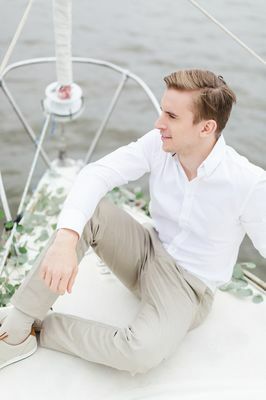 After extensive research on the various clubs and sailing schools in Quebec, I was thrilled to connect with Pierre Ricard of École de Voile 4 vents. 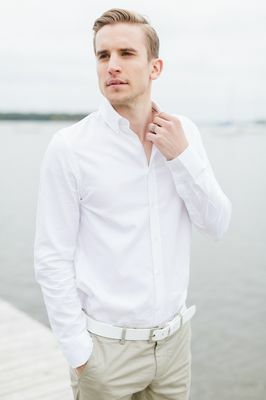 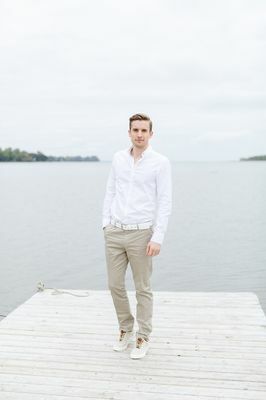 He kindly hosted our creative team aboard two of his sailboats out on Lac Saint-Louis, an expansive lake just outside of Montreal that opens up to Saint Lawrence River. 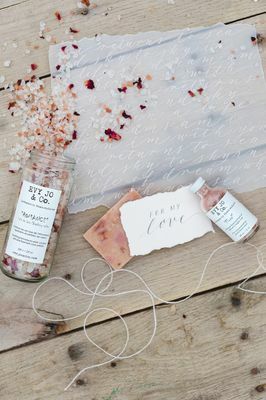 Evy Jo & Co. provided a lovely spa gift set full of organic soaps as well as pink crystal bath salts and rose petals: a perfect and romantic way to unwind after a long day outdoors! 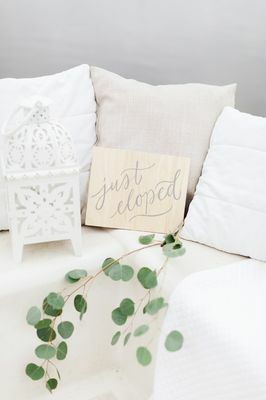 I directed and photographed this elopement inspiration shoot in collaboration with Joy Deneen of Imagine Joy calligraphy. 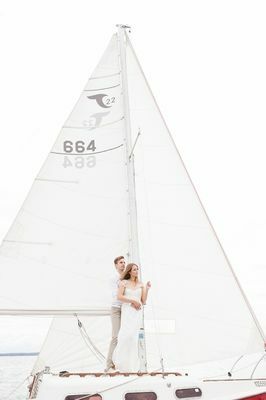 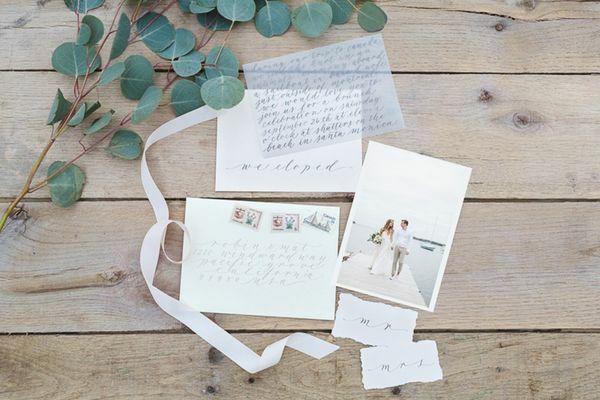 We wanted to create soft, romantic images that had a distinctly nautical feel, without using navy or stripes. 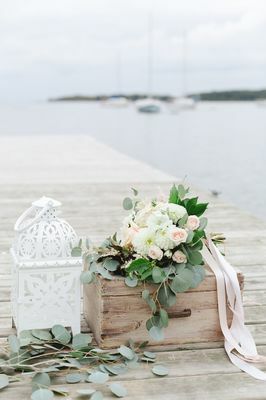 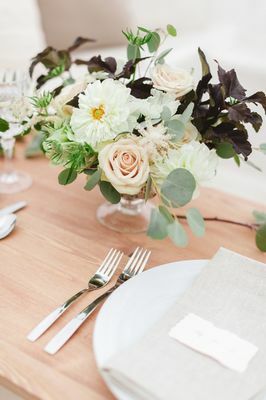 We instead opted for a delicate color palette of blush, beige and white and added subtle nautical elements. 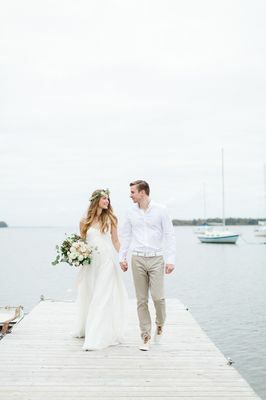 Ariel & Paxton of Agence Montage were our bride and groom, and makeup artist Elizabeth D'Amico highlighted their natural beauty perfectly. 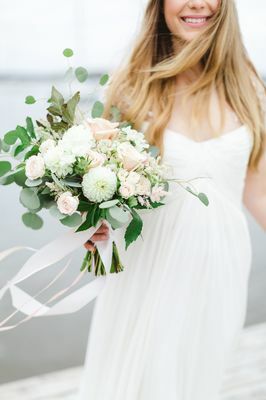 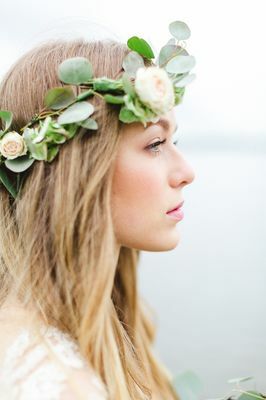 Ariel wore a Monique Lhullier gown from White, Montréal as well as an eucalyptus flower crown from Prune, who also designed the stunning bouquet and table centerpiece. 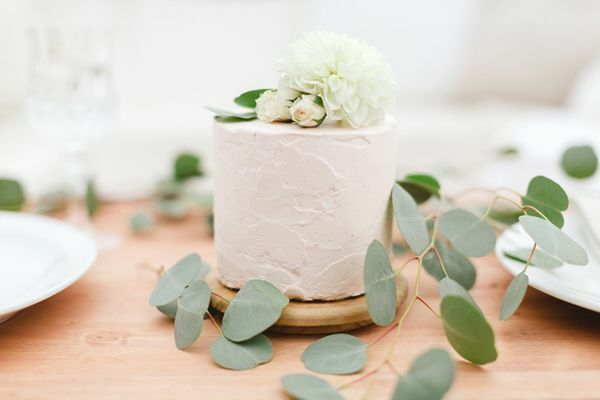 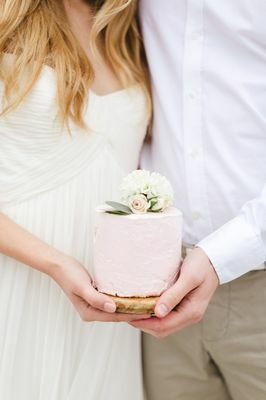 Rustique made a delicious cake for two (frosted with pale pink buttercream! 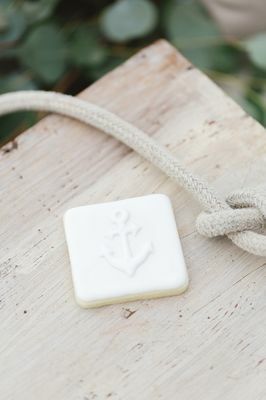 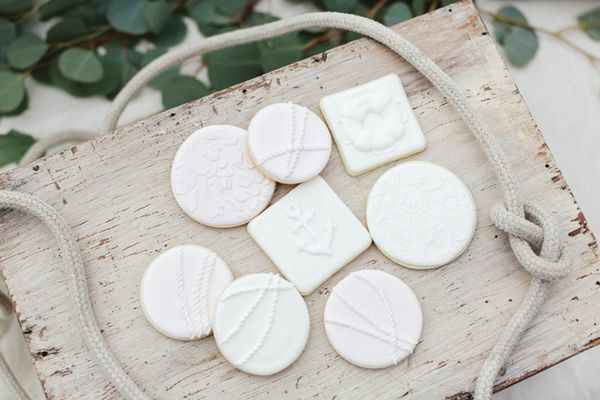 ), and Johanie Les Biscuits created delicate sugar cookies with nautical motifs.